Bueno gente continuamos con las pelis de pokemon, la peli numero 7, presenta pokes de la tercera generacion tambien y da una muestra de pokes de la cuarta generacion como los es Munchlax. 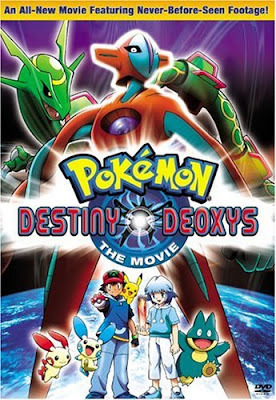 En lo personal no he visto la pelicula pero pues por lo que se ve en la portada nos muestra el debut de dos pokes Legendarios Deoxys y Rayquaza. on a topic that has been written about for decades. Great post. I was checking constantly this blog and I'm impressed! Extremely helpful info specifically the last part :) I care for such info much. I was seeking this particular information for a very long time. Thank you and good luck. is really informative. I'm going to watch out for brussels. I will be grateful if you continue this in future. Numerous people will be benefited from your writing. Cheers!